She may be a Lady, but Aralorn was never comfortable with the idea of a noble life. Being a mercenary and spy suit her much better. Well, it did until she was sent in to the castle of Geoffrey ae'Magi, a powerful and beloved mage, to spy on him in an effort to substantiate rumors of assassination. But the powerful ae'Magi isn't what he seems, and the truth is far more grim than Aralorn could have imagined. Death magic, corruption, and an unquenchable thirst for power taint the ae'Magi like a stink and his spells have spread slowly, insidiously through the land. It isn't until Aralorn returns home to the mercenary city of Sianim that the full scope of the horror becomes clear and the danger so desperately apparent. But what can one mercenary spy and her long time companion but mysterious friend Wolf hope to accomplish against a power so great that it commands monsters and men alike - and turns them into willing slaves and sacrifices? And do they even dare hope they can live through it? Welcome to the world of Aralorn and Wolf, and the early mind of Patricia Briggs. Originally published in 1993 in a less polished format, Masques was Briggs' first book, and there's a lovely introduction by the author in my Kindle version that explains its inception and eventual resurrection. I hope it exists in the paperback version, as well. 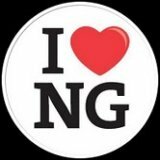 I'm quite glad I read it, because I was able to focus on the good in this story and not worry so much about the flaws that any first novel, even in a more polished form, has. And Masques does have flaws (still...and even after the revisions). The world building is pretty sketchy, there's a dearth of the sort of descriptive writing I'm used to in Briggs' Mercy Thompson series, and the plot isn't the most original I've ever read. It's actually sort of two dimensional and linear, too. The narrative is at times choppy, the pacing a bit uneven, and there are a couple of plot holes, some odd transitions, and an extremely abrupt conclusion. I've detested books for far less than that, and yet despite it all, I really liked Masques. Quite a lot, actually. In Aralorn, the half-shapeshifter mercenary and spy, there are glimmers of the strength and uniqueness of character that Mercy Thompson commands. I grew quite fond of the practical but wily, small but strong, plain but dedicated and determined Aralorn. She's not perfect, but she's delightfully human. It's a Briggs trait in heroines that translates very well into likability for her characters. Wolf is a perfect counterpoint and companion. A mage hiding in the form of a wolf, Aralorn saves him from a slow, painful death...then from himself, and he sticks by her - though he tends to come and go - for the four years since. He is an enigma and a mystery and the emotional baggage he's got tucked away is disturbing, horrifying, and scary as hell. Still, his loyalty and dedication to the one person he values in the world is endearing, unwavering, and surprisingly intense. After being so used to Briggs' writing in the first person POV for the Mercy Thompson series, it was a special treat to be able to have some insight into Wolf's thoughts and feelings with the third person omniscient POV of Masques. It increased his depth of character and likability. Aralorn and Wolf are the driving force of my appreciation for the book, but never let it be said that Briggs can't command a lot of respect with robust secondary and ancillary characterization. Regardless of the page time a character is given, characters live and breathe in Briggs' books, even those written so long ago. They're sympathetic...or easily loathed, as the story requires, and easy to relate to. 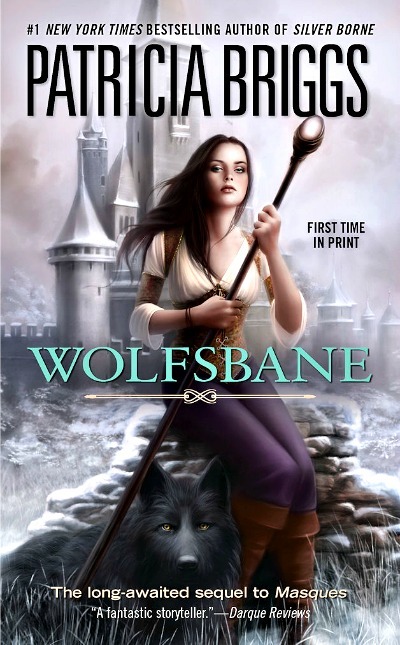 The strength of character and the likability of the heroine and hero - and a definite fire to see how that relationship evolves now - goaded me into preordering the sequel, Wolfsbane (Aralorn), which will be out in a couple of weeks. Briggs' evolved ability to write compelling story and amazing characters assures me I won't regret the choice. 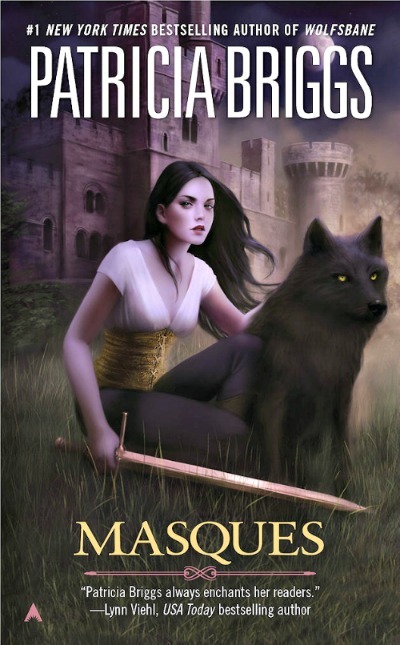 I'm thrilled I gave Masques a chance (I'm not a humongous fan of fantasy, but I do read it occasionally) and even more happy I took the time to read the introduction by Briggs so I was more understanding of the flaws. I'll remember it fondly as a good, solid, fun read that kept me entertained and got me primed for more.